This entry was posted in PELANGA RECORDS! 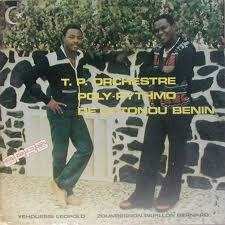 and tagged Benin, DJ Smokestack, Orchestre Poly Rythmo, Rumba, Soukous by Smokestack. Bookmark the permalink. Killin it on that keyboard. Analog Africa really did sum it all up, too, great great article. One thing I really truly appreciate is the back-story of this music and the artists. Like in this case, the element of Vodun. I would have not known that it is the overarching framework of this bands rhythms’. Which goes to show that even an informal medium such as a blog gives a nod to the oral history (via music), and creates new, written, and somewhat ‘documented’ records of it. Good thing is though, the history can always be told through song.Don’t know if that made too much sense; I just really appreciate the added info.